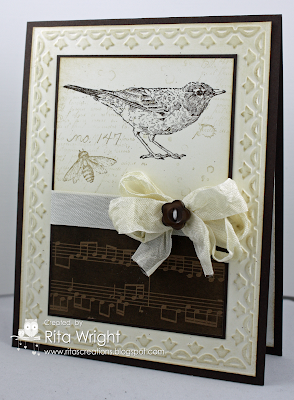 I'm getting so behind on my Hope You Can Cling To challenges, but thankfully one of them worked perfectly with Cindy's awesome sketch at Freshly Made Sketches this week. 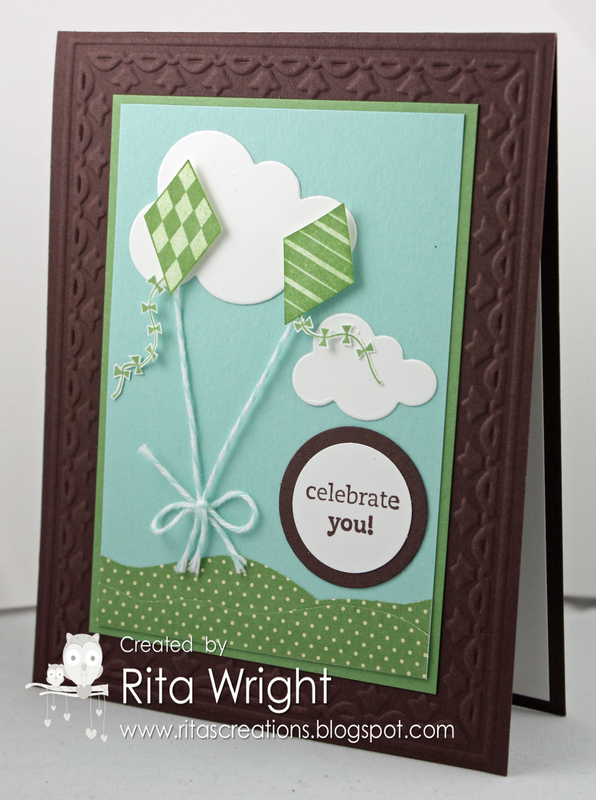 When you go by the challenge blog, you'll see how versatile this sketch can be! 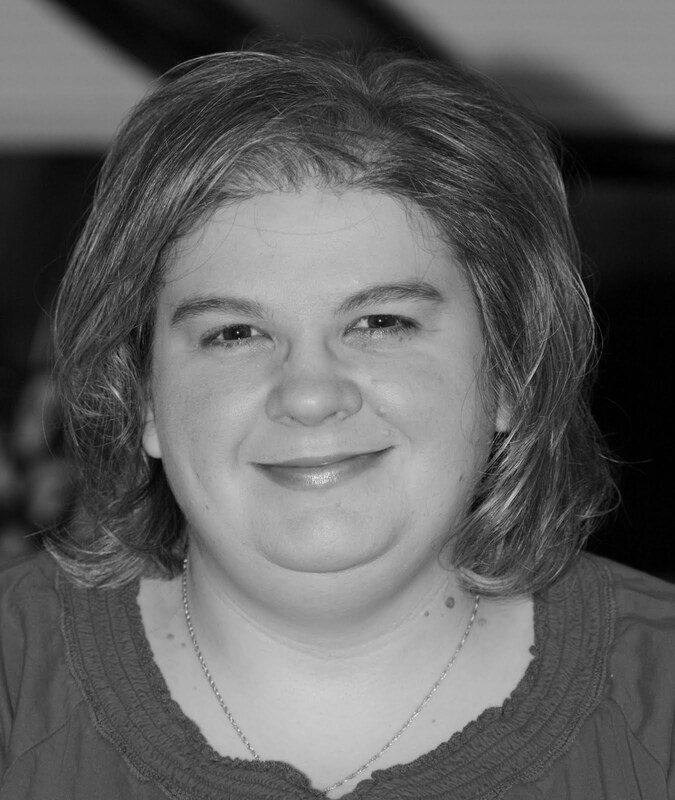 Mary's HYCCT challenge description is sad, but also a touching way to honor her friend. Here's what she wrote: This has been a very rough year for many of my friends. Since January 5 of of my friends have been diagnosed, 4 are currently doing good but my one very dear friend died. She was 46. I met her because she was the post mistress of a small post office that I always went to mail my swaps. 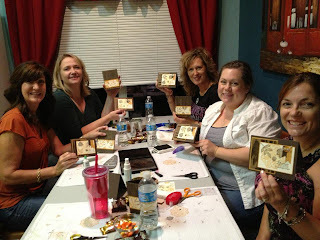 We struck up a friendship and she joined my stamping team. She was one of those wonderful people who never met a stranger and is missed beyond belief. So...in honor of her and all the lives she touched..."let's lick this thing". 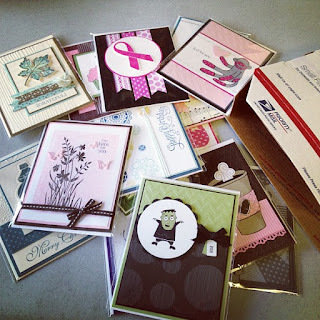 Make a card inspired by postage or the mail! I didn't own anything to make postage (where are those darn scissors when you need them? ), so I opened up My Digital Studio and found the postage punch. I added a bit of text for the 44 and printed it out. 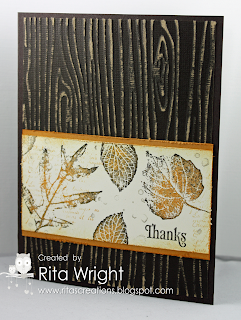 I am starting to enjoy making there hybrid cards. I do have to say that this was the first time I think I'd used Raspberry Ripple and now I'm a fan. It looks amazing with Crumb Cake...or I think so anyway! It actually got a bit chilly down here in Texas towards the end of last week so we had to bundle up a little! I wish I knew how to share a video from Facebook on here. She found her voice this week and has been super chatty. It's adorable! Silly card, right? Dealing with cancer is no laughing matter but as we all know, laughter IS the best medicine (at least sometimes). The other old standard, chicken soup for under the weather folks, is also represented in the form of chickens. 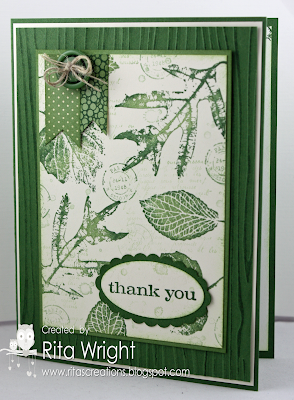 :) This card was made for another of the Hope You Can Cling To challenges. This one came from Sabrina and here's her challenge: My challenge to you is to use a chicken (hens and roosters are acceptable too ) on your card, and elements that spell the word S-O-U-P.
For my S-O-U-P, I used Scallops, Orange, Unique pink barn, and Pink. I know that's stretching it a bit, but this one was tough! 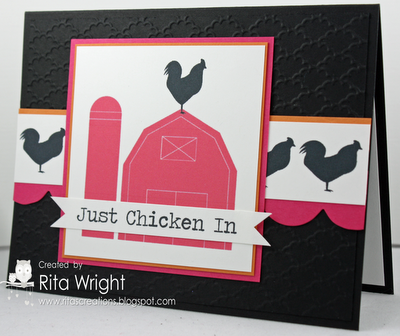 The images are from My Digital Studio's Barnyard Buddies brush set. Don't forget the big sale today! Stamps are 15% off today only, MDS kits are on 50% off until the 5th, and there will be a special kit project unveiled later on for sale today as well! I'll be putting in a stamp order at noon my time today, so email me quickly if you need anything. My little pumpkin in her candy corn onesie that her Aunt Crista made for her. I have a bit of an obsession with candy corn, so I was so excited when she brought it by the other day. I can't really call this one clean, but it is simple. 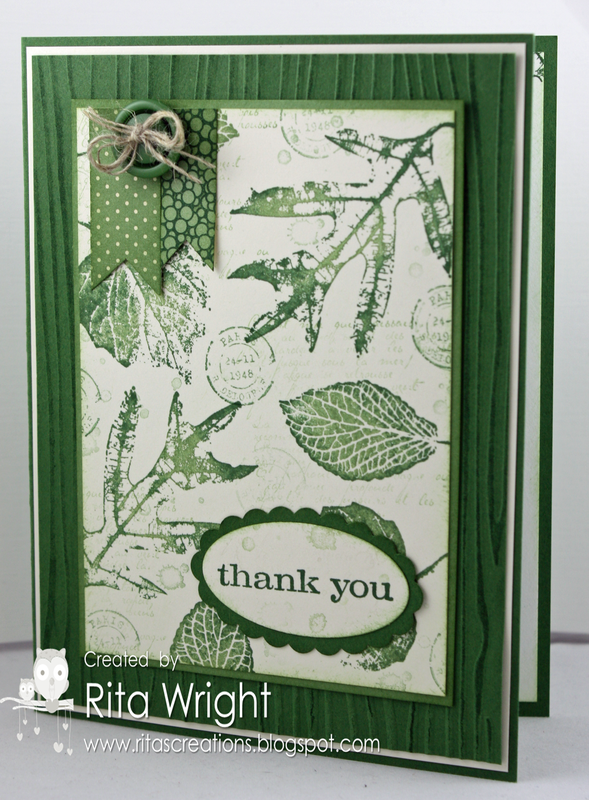 :) I was working on Denise's HYCCT challenge this morning and I now have a stack of great cards to finish up that didn't work out. lol She gave us a tough one that's for sure. Here's the description: So my challenge to you is be like a flamingo and stand on ONE leg ! That means, use only ONE of each supply...one stamp, one button, one sheet of DP, one sheet of colored cardstock, one rhinestone...You can use any combination of things but only one of each type of product (the card base, a sentiment stamp, and your ink do NOT count). Yikes, right?! I kept having too many of things so I finally decided to go really simple and came up with this one. 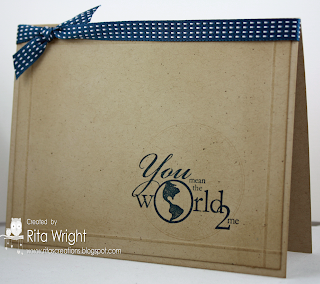 I'm not sure you can see "the world" that's stamped very lightly behind the sentiment, but it's there. :) I actually like how simple but NOT boring it turned out. My little 4 month old! Goodness. She's going to be out of stickers before I know it. It is amazing to watch her grow and learn new things. I can't believe how she changes from one day to the next. She is such a blessing and I love her so much! Here's my little pink giraffe with her little pink giraffe. She's been something else this week! She's started "talking" so much more; she's turning into a little chatterbox. She's been breaking out of her swaddle a lot and waking herself up which means less sleep for the whole house! I can't believe she'll be 4 months old tomorrow. The time is just flying by. 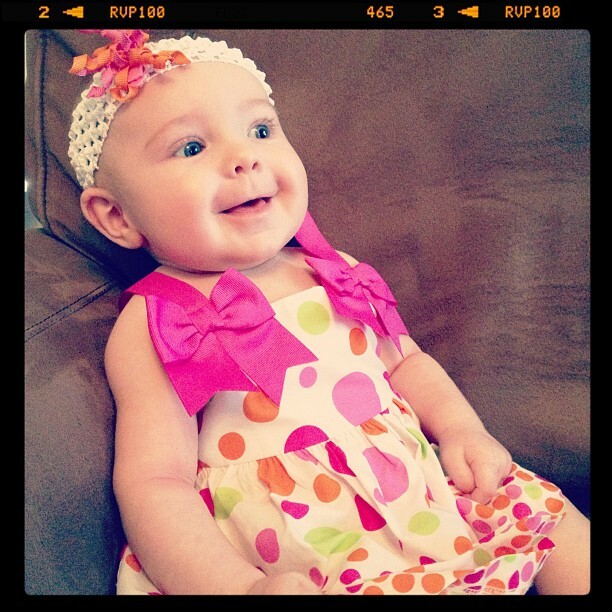 She's such a sweet baby and so happy most of the time. She gets a bit upset about nap time, but other than that she's usually smiling and loving life. We are so in love with her and feel so lucky to have her. When: October 29 - November 5, 2012. Where: My demonstrator online store. To view all the digital kits, click here! Be sure to check back next week for more details. Time for a new Freshly Made Sketch! 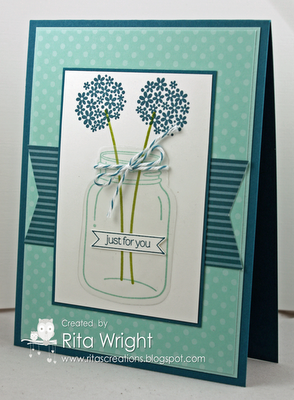 This one comes from one of our fabulous guest designers, Narelle. I have been struggling with my mojo for over a week now, so I was pretty last minute getting my card made for this one. I did manage to combine it with a HYCCT challenge! 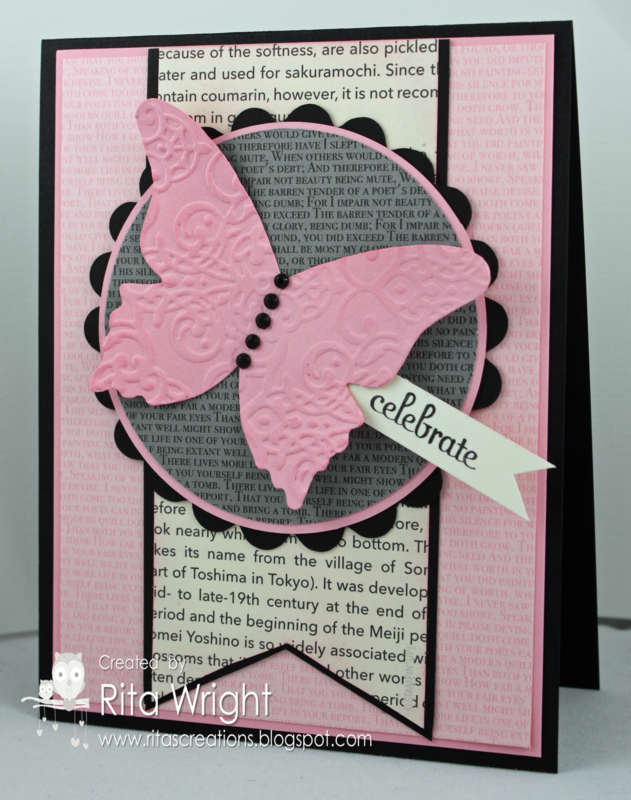 Cindy asked us to make a pink birthday card inspired by some pictures that she shared. I chose this one and focused on the colors. My Topsy-Turvy Celebration set has been neglected lately, so I thought it might be a fun one to pull out for a cute birthday card. The more I look at this, the more I kinda like it. :) It's been a while since I could say that actually. I did change up the banners a bit. I thought they might look fun all mixed up like my topsy-turvy cake! I hope it will bring joy to someone's day just like this little girl brings joy to mine. Pink again?! That's what I'm saying anyway... I had some papers left on my desk from a previous card, so I decided to use them to make a card for Taylor's Hope You Can Cling To challenge. Here's what she asked us to do: When I think about breast cancer, and breast cancer awareness....I think doubles (for obvious reasons). My challenge to you today is to have TWO times the fun...with a little catch. Everything you use on your card, you have to use TWO of, but they must be slightly different. Two different patterned papers, two different buttons, two different ribbons, two different stamps (a stamp and a sentiment counts), etc. I'm not sure that I quite made it, but I tried. I used two different DSPs, two stamp sets, two techniques, two dies, and two flags. I did use 2 different types of rhinestones, but I think I broke the rules by using 2 black ones and one normal one. 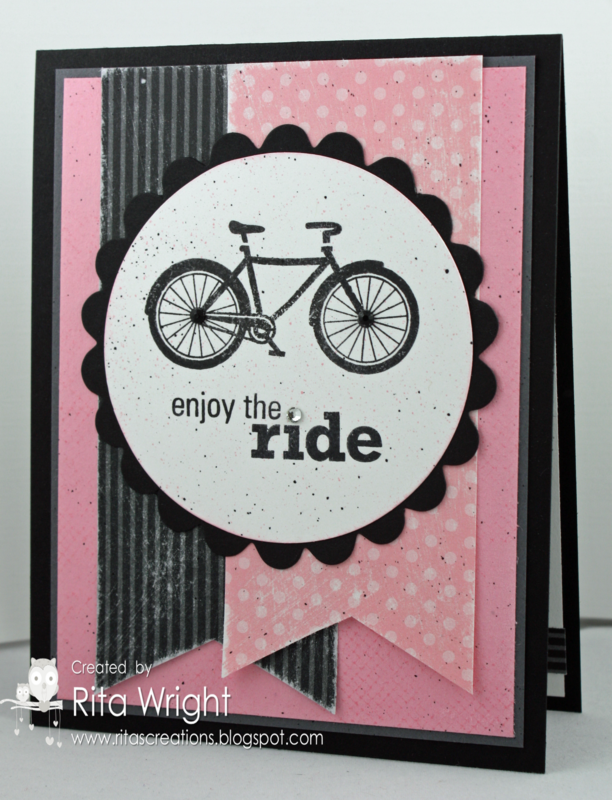 :/ The bicycle and sentiment are from a CTMH set that the lovely ladies at Black Tie Friday's gifted me for being their first entry. You should try to go play along as they are such nice ladies over there. I did use the sketch at iSpy Sketches again for this one too! This weekend we tried on the pants that her Aunt Crista made for her. I think they are more like Capri pants now! She is getting too long for everything. Even her six month sleepers are getting short, so I went shopping yesterday for some cute nine month ones. Yikes! 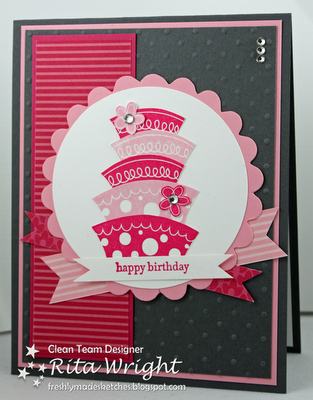 Yesterday was so busy that I didn't get a chance to upload my card! Now I have two that I haven't shown you because I stamped a bit today too. 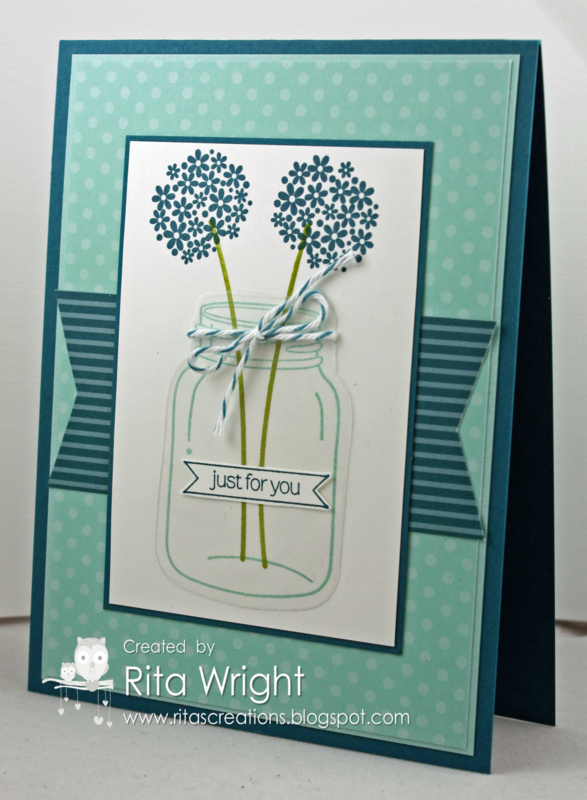 :) I'm going to show you today's on this post because I like it better. I used the awesome sketch from Retro Sketches this week for it. 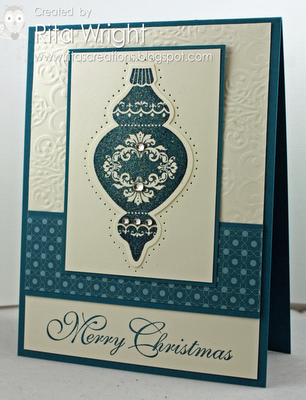 It is also a Hope You Can Cling To card for Lynn's challenge to use a decorative edge on a card. Remember you can find the master challenge list here if you want to make some cards! 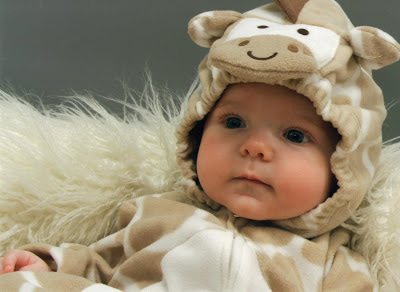 I realized today that I hadn't shared my favorite picture from Laila's three month photos! How adorable is this one?? We just LOVE it! 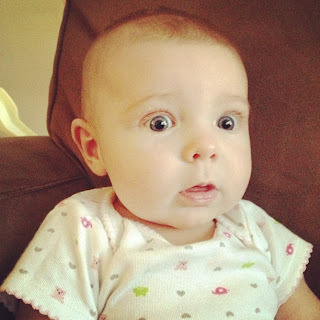 I can't believe she's going to be four months this week. My little one is just growing up too fast. I'm tempted to just post the picture for this one and run away. What a challenging challenge! I got an idea in my head and then it just wouldn't work! I changed out papers and added layers...it was an all day event! I finally gave up and this is what was left. lol I used the sketch from iSpy Sketches and Theresa's HYCCT challenge: My challenge to you today is to simply make a card that FEATURES TEXT in some way in your creation. 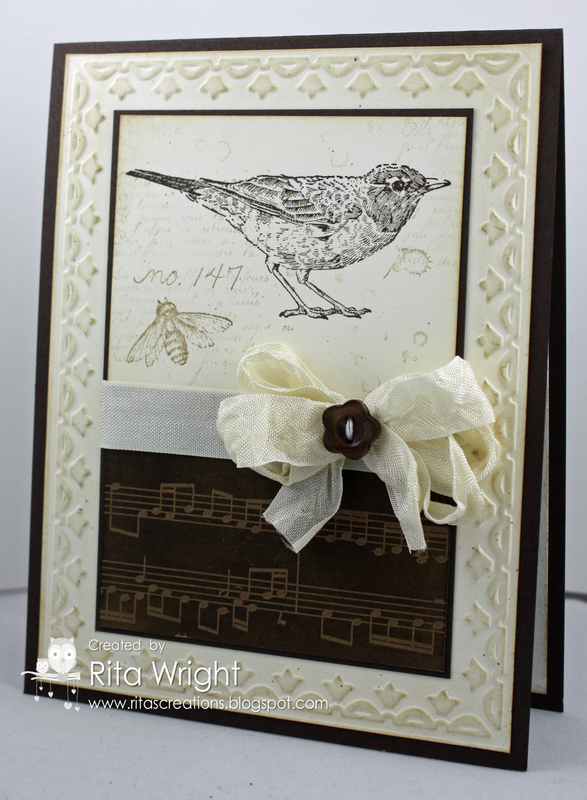 Use a stamp, patterned paper or even pages from a book, but use text somewhere and have a little bit of fun creating a card that will be well received. 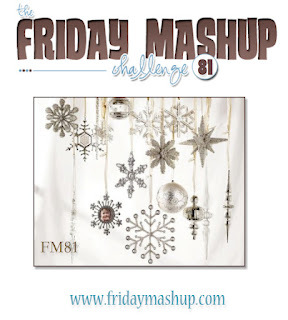 Or "Mash it Up" and create a "Christmas Project with some Sparkle". 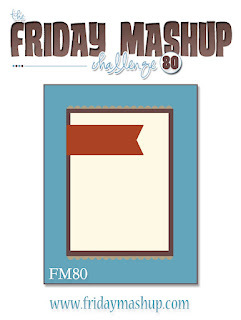 Amanda has a fun challenge at the Friday Mashup this week. With October over halfway gone, it's time to get serious about those Christmas cards and this challenge is perfect to get started. I am embarrassed to say that I had not inked up my Ornament Keepsakes bundle, so I just had to pull it out for this challenge! 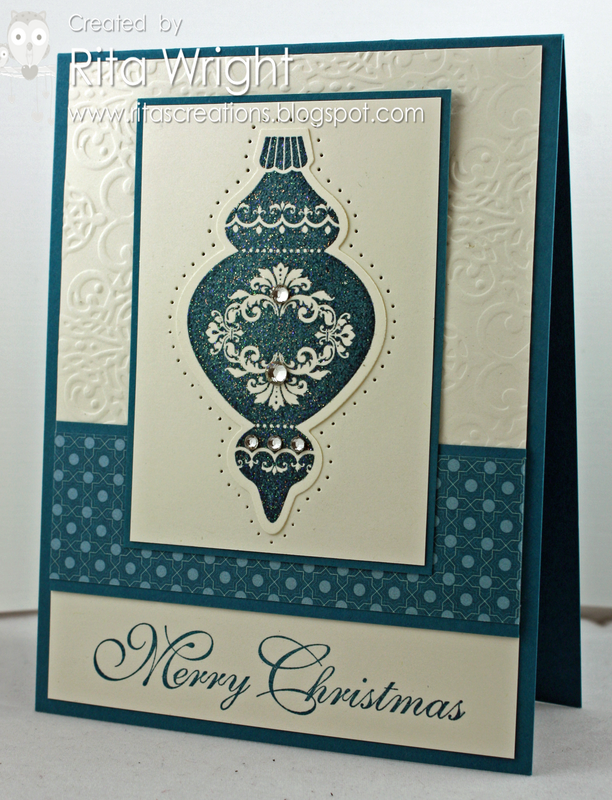 I combined it with Bev's HYCCT challenge and here's the description for it: Make a card (or project) using lots of sparkle. You know how much glitter you usually use (a little spot here or there)? Double it! Triple it. Shimmer and shake it, baby! We want to see your sparkle! LOL This was the end of the pumpkin patch for the day! 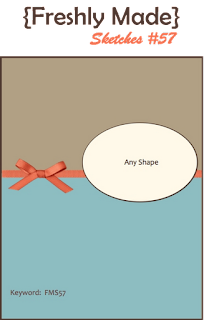 This was my first time making a "shabby bow" based on my friend LeAnne's tutorial. I just needed a small one, but it still worked! Yay! 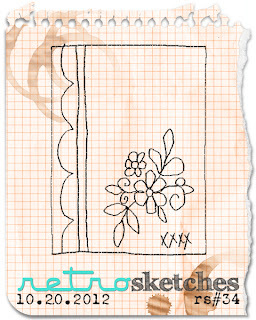 Today at Freshly Made Sketches one of our fabulous guest designers for the month, LeAnne, created the sketch. Isn't it fabulous? So versatile and good for any type of occasion. Since we are so close to Halloween, I decided to focus on that for my card, plus I needed a card for another Hope You Can Cling To challenge. 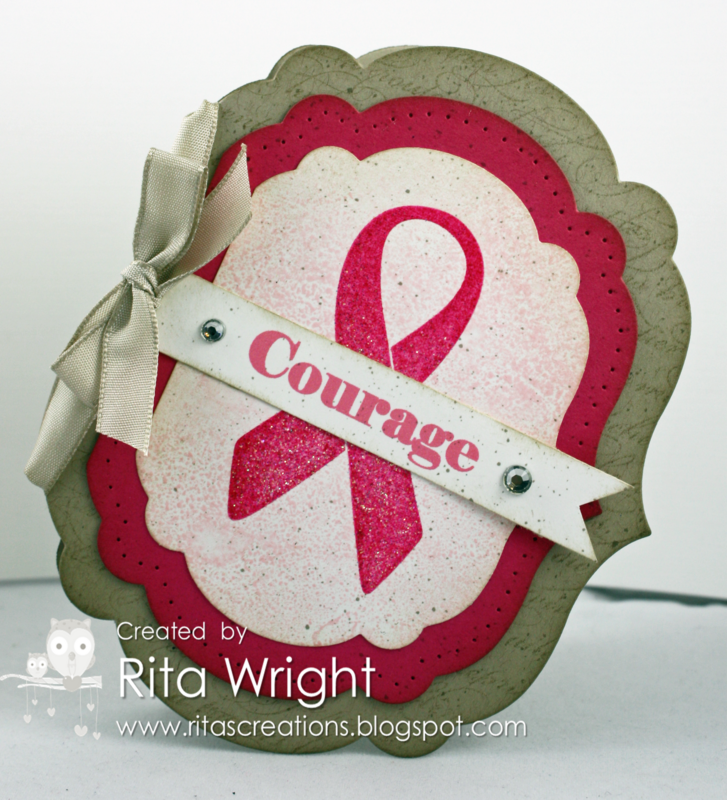 This challenge was from Judy and here's her description: My challenge to you is a reminder! Get 'em mashed, squooshed, photographed, x-rayed, and checked! 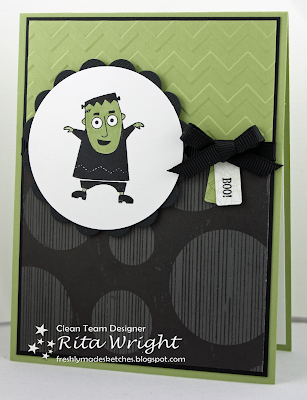 And to that end, we will be sharing creations inspired by "The Monster Mash"! 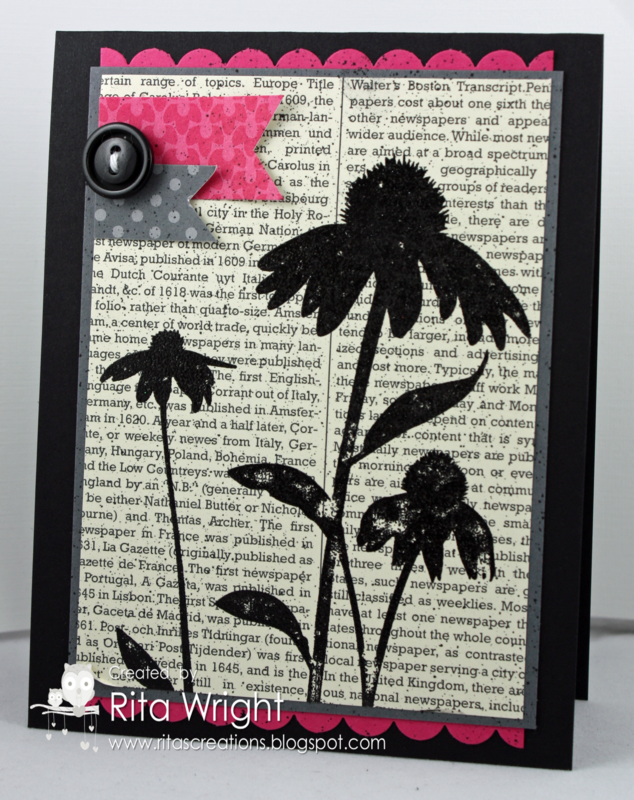 I don't have the super fun Ghoulish Googlies, but I was able to bum it from my sweet downline Shannon to make this card. I thought lil' Frankie was perfect for the Monster Mash theme. 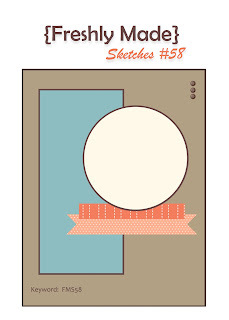 I did switch the image side for my card, but that's the fun of sketch challenges, right?! Here's our little family at the local pumpkin patch yesterday. I'll have more of Laila to share in the next week or so. I'm not sure she knew what was going on poor dear. It was pretty warm here, so I'm hoping it will cool off a bit so that we can go again. I'm still trying to catch up on my Hope You Can Cling To cards. Making a card a day is tough for me, but I'm trying my best! I am glad we have the first week in November to play catch-up. I can already see that I'm going to need it. Today's card is a challenge by Jennifer, a breast cancer survivor. 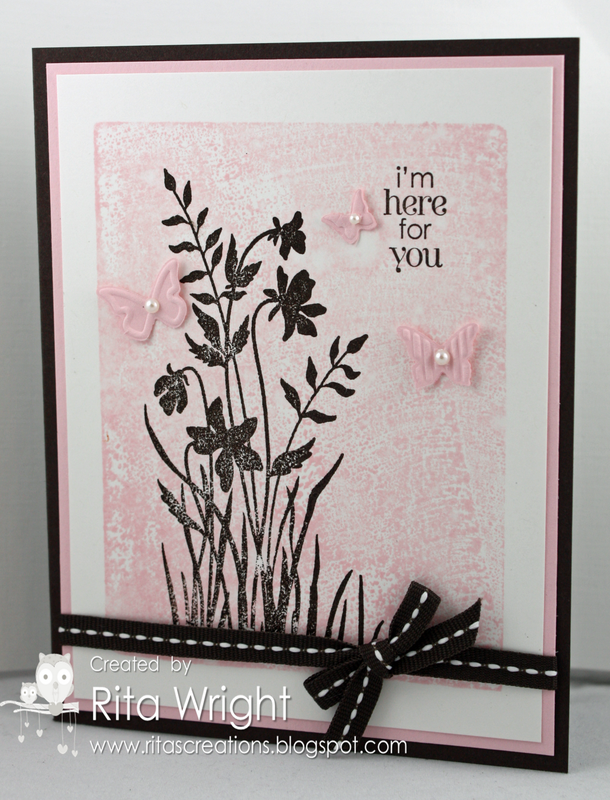 Here's her description: So my challenge for you is to create a card that evokes peace, calm, and serenity with a touch (or splash!) of pink. no pressures, no requirements other than to just enjoy, embrace, and have fun while you are making it! Don't forget you can play along too! A discussion with all the challenges can be found here. It's still been pretty warm down here in Texas, so I've been trying to get her in the rest of her summer clothes before it's too cold for them. This girl sure did get a lot of clothes! Last night was my monthly stamp club with my totally amazing group of ladies. There's always so much fun and laughter and I love that they enjoy our meetings so much! I thought I'd share our cards and a few other pictures today. This first one we did using my favorite set, French Foliage, and the new Core'dinations card stock from the Holiday Catalog. I just LOVE that background! Last night was our last meeting of this round of club so I wanted to make them up a special gift. 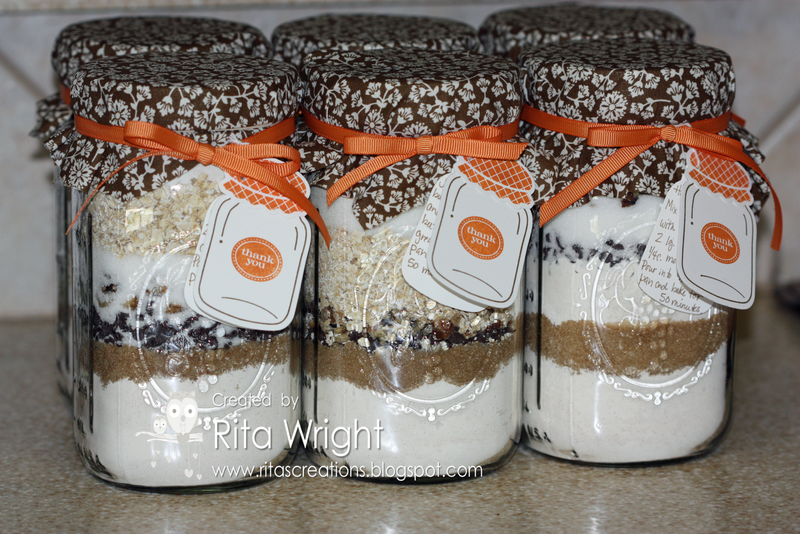 I found this fun idea on Pinterest and made them this gift-in-a-jar. Jason was a huge help with these or I think it would have taken me forever! LOL Is this not THE best "caption this" photo ever?! I love it! Tara is our hostess this week at The Friday Mashup and she challenged us with a technique and this cool sketch! I didn't manage to mash mine up as I couldn't find the tape in our house, but if you want to, you can find the tutorial here. 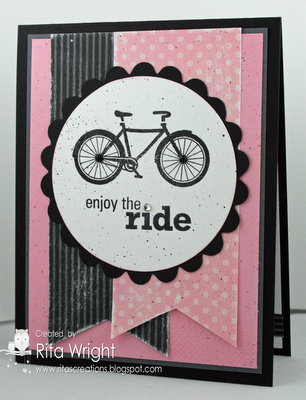 I had an idea for this card in my head for over a week but couldn't find the stamp set. I finally found it the other day which was great because I didn't really have any other ideas! It didn't translate quite how I pictured it, but I guess it's still okay. She just keeps growing so fast. I'm afraid prom is just around the corner! Ha!